I had a more artistic photo to potentially use today but if I wanted to epitomise the day then this was the one. 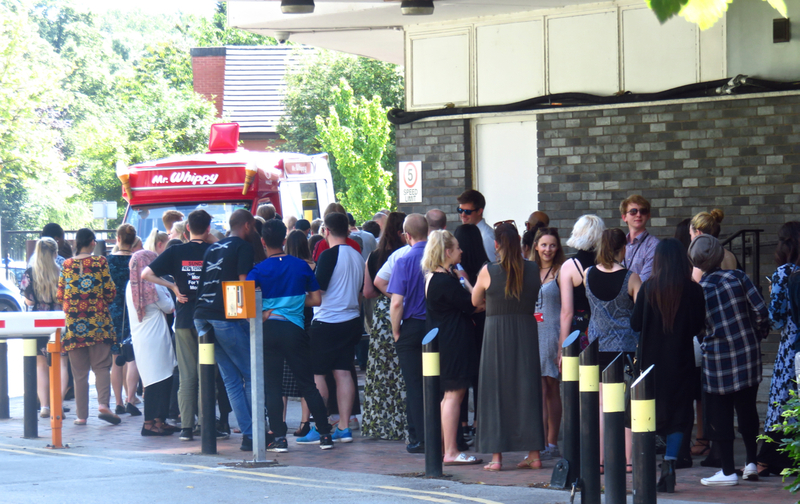 The sun comes out, the thermometer rises, and a hundred members of Manchester staff and students queued up at the single ice cream van that had the nous to make an appearance on campus. 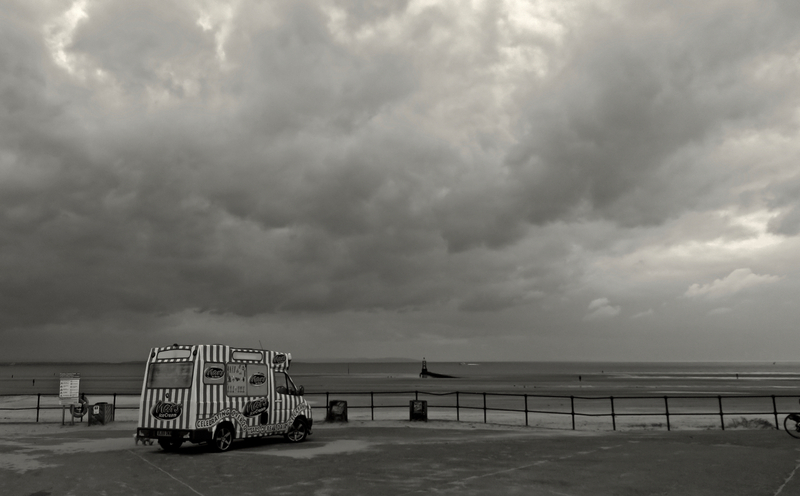 For me there’s something kind of suburban or small-town about ice cream vans, so it’s nice to find one in the centre of one of the biggest cities in Europe. Good idea today though, it was very hot and humid in London, and indeed elsewhere today. Those who know their ice-cream, know why.